"Black Out The Sun," the second single from Darren Hayes' upcoming fourth studio album, is due for release in the UK October 2nd and follows first single "Talk Talk Talk" as well as the Australia/New Zealand-only release of another track called "Bloodstained Heart." 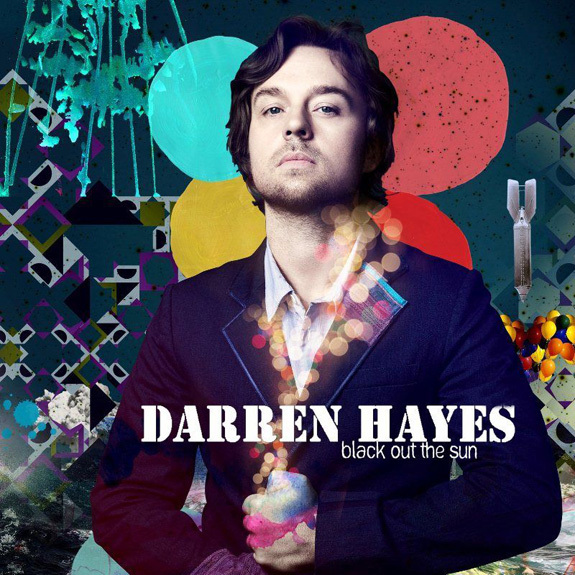 Beautiful and dramatic at the same time, "Black Out The Sun" is a passionate song that showcases virtually everything there is to love about Darren Hayes, including his handsome good looks, emotive song lyrics, lush orchestration, etc. Not only is "Black Out The Sun" is a beautiful song in and of itself, but this seemingly perfect little slice from Hayes' new album, Secret Codes and Battleships, has officially sealed the deal, making that new album of the most anticipated new albums for me. The video for the new single was directed by Grant Marshall and features choreography from Darren's own sister, the award winning Claire Marshall. Marshall, in addition to being Darren's sister has also choreographed tours for both Darren Hayes and his former band, Savage Garden. Grant Marshall first worked together on the video for Hayes' 2003 single "Crush (1980 Me)," a top twenty hit in both Australia and the UK. According to Hayes' official blog, the video for "Black Out The Sun" is the video he "has always wanted to make" and it appears as if no expense was spared. Shot on the same soundstage where Peter Pan and the Chronicles of Narnia were filmed, the video utilizes vintage anamorphic lenses from the 70s, the very same type of lenses used to shoot classics like the Star Wars and Indiana Jones films. The video is absolutely stunning! "Black Out The Sun" was co-written with Carl Falk (Backstreet Boys, Taio Cruz, Nicole Scherzinger) and recorded the same day that Michael Jackson passed away. As one could gather from the name alone, the song is not necessarily a happy one, rather it delves deep into a world where all traces of love have been lost. UK fans make sure you download the single when it's released on October 2nd. Australia, you guys can download his new single "Bloodstained Heart" on iTunes HERE while us Americans have "Talk Talk Talk" (and various remix packages) available to download on U.S. iTunes HERE. Mixed by Robert Orton (Lady Gaga, Kelis, t.A.T.u.) and produced by such names as Walter Afanasieff (Celine Dion, Christina Aguilera) and Carl Falk, Hayes' new album, Secret Codes and Battleships is due for release October 17th on Mercury Records/Powdered Sugar.